Inter-cat aggression can become very dramatic in a multi-cat household and this situation must be stopped at all costs. There are multiple reasons why one cat displays aggression towards the other. Aggressive cats control all the aspects of the cats territory such as the food, litter box, relaxing spots, and even the attention from the owners. This leaves the victim cat usually withdrawn creating serious psychological and physical problems if they engage in fights. Aggression between cats occurs usually when a new cat is introduced in the household or when one of the felines has been absent for whatever reason and returns home. Other causes of aggression are the limited sources of food, litter boxes and resting areas. Never touch, intervene or calm a cat when its showing aggressive behavior towards another cat. By doing this you are exposing yourself to be the target for the cat to redirect its aggression towards you. Redirected aggression occurs where the bully cats feels threatened when confronted to an individual and it redirects its aggression towards another subject that could be a cat or a person that happens to be right next to him. Also, never punish the bully cat for his aggression, it will just worsen the problem because it will increase the cat’s anxiety and stress. To avoid cat-to-cat aggression you need to properly introduce the felines when they meet for the first time. 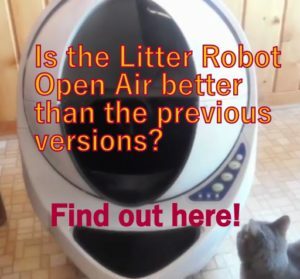 If you think this process was not properly done in the beginning with your cats and you already have this problem, there are some steps you can do to minimize this. First, you need to recognize the causes of the bullying behavior to eliminate it. 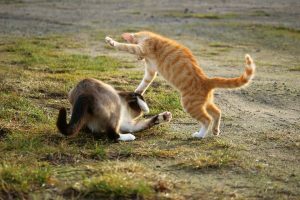 Aggression in cats is a complex topic and something it’s a result of a mix of several different situations. However, basically aggression between cats can be offensive or defensive. An aggressive cat that is trying to attack the other usually tries to make himself look bigger and intimidating. A fearful defensive cat tries to look smaller. 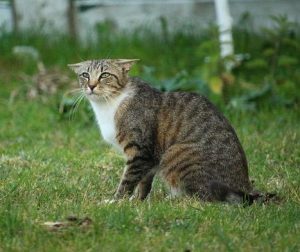 A good start to recognize the triggers of aggression is observing what was going on during the minutes previous of the bullier cat attaching the victim cat. When you properly identify these triggers you can help to change the situation. Consider that in some cases the aggression from one cat could be a sign of a medical condition, such as hypothyroidism, arthritis and others. It’s a good idea discard a medical problem if the situation doesn’t change. The older the cat, the more chances that the cause of an aggressive behavior is a underlying medical condition. 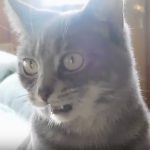 When a cat feels that his territory is being threatened, it will display behavior such as chasing the “intruder”, hissing and swatting if close contact happens with the victim cat. Cats are very territorial animals and sometimes female cats show territorial behavior as well. Did one of your cats reach sexual maturity? Did you introduce a new cat or a new member of your family in your home? 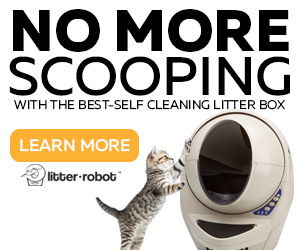 Do you have a neighboring cat walking outside and can be spotted by your indoor cats? Did one of your cats stay at the Vet for some days and came back home? Answering these questions will give you an idea if you are having a territorial issue with one of your cats. When cats feel territorially threatened they can display aggression towards one particular individual, either another cat or a family member. In a multi-cat household a bullier cat can be aggressive with only one feline while being tolerant with other cats. If you brought home a new cat or if the kitten is now an adult cat and your other feline is showing aggressive behavior, your cat feels its territory threatened. Bullier cat is patrolling constantly. 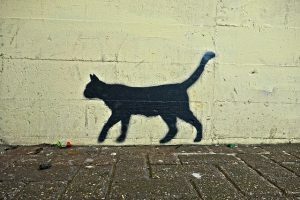 Watch the cat’s tail if it’s up and the cat sniffs around while walking. Excess of chin rubbing and urine spraying. Stalking, ambushing and chasing the bullied cat. Hissing, swatting, growling and scratching the victim cat, usually the new cat. Some cats show the territorial aggression as soon as they spot the targeted cat, while others wait to ambush their victim. The territory of an aggressive cat could be a part of the house, the whole house or even the outside. Discard a neighbor cat being spotted from the window as a trigger. If you see one, block somehow the view so your territorial cat can’t see it. Also, if there is a new family member in the household, make this person play with the cat and feed him. These two actions could avoid a possible redirected aggression towards a victim cat. If the aggression is constant, separate the cats with a gate in the beginning. Set up food, water dispensers and litter boxes in separated areas. Spray pheromones around the area. Slowly expose both cats to each other with the gate in between, distract the aggressor cat if you see any sign of upcoming aggression, have its favorite toy or treat in hand in case you need it. If the distraction doesn’t work have always a light panel to put in front of the gate to block the cat’s vision to the other side. If you don’t see aggression, reward the aggressive cat with treats and love. 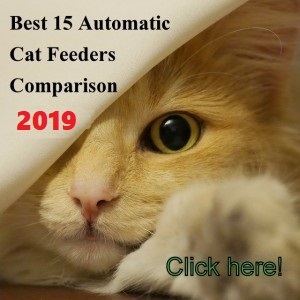 Establish specific areas for each cat in the room in case you want them share the same living area but always keeping the feeding stations and litter boxes in separate rooms. The dominating cat usually decides what are its spots. Use the rest of the space to build areas for your bullied cat. You can mount boards on a wall for your bullied cat to rest or relax. Make sure not to build them higher than the dominating cat’s area. Increase the access of new areas for the bullied cat or for the dominant cat. The aggression will be less if you provide one of the cats a new space. 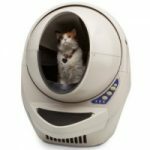 Install a selective cat door to allow one of your cats to go to a different area. You can determine which cat needs a new area by observing where each cat hangs out the most. If the dominating cat gets more aggressive in an specific area of the house, increase its space in that area by installing a cat door that leads somewhere else, where the bullied cat can’t access. Sometimes this alone can calm down a territorial cat. If the victim cat has a very reduced space that the dominating cat doesn’t mind, extend somehow that space for your victim cat. This decision needs to be made from your observing skills. 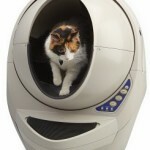 The idea is not having an “escape door” for the victim cat but rather reinforce the confidence of the territorial cat. This way both cats will have a better coexistence. A defensive aggression is displayed when a feline feels threatened and cornered, with no escape. 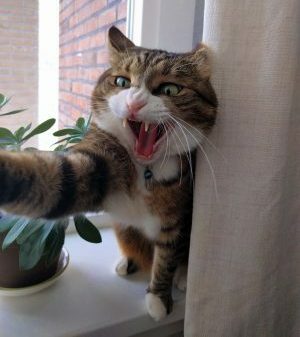 Defensive aggression comes from a fearful cat rather than a self-confident feline, so your bully cat could be only a very fearful and anxious feline. If your bully cat doesn’t exhibit dominance behavior such as, patrolling the house (walking confidently all around the house with a straight up tail), rubbing its scent excessively around the house nor urine marking, but it shows aggression when being close to the targeted cat, this could be a sign of defensive aggression. Defensive aggressive cats usually show body signs of defensiveness and aggressiveness at the same time. First sign of a threatened cat, its ears. The cat feels cornered in a specific area of the house when the other cat approaches. Feeling threatened by a member of the family or by a neighboring cat outside, and redirecting its aggression (bad energy) towards the bullied cat. These are only some examples of triggers for your cat to be defensive-aggressive. In some cases the cat it’s just extremely anxious in which case you need to take it to the Vet and treat him with medication. One of the worst symptoms of an anxious kitty that gives in its territorial needs due to a more dominant feline, is the cat sleeping in its own litter box. This behavior should be immediately addressed and corrected. If there is new family member, make this person gain the cat’s trust. If there is a neighboring cat showing up in front of the window, block this view with plants or anything that blocks your cat from spotting the threat. 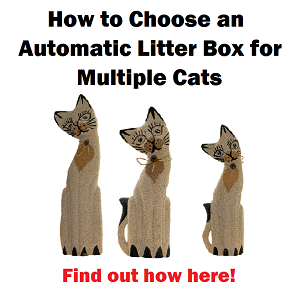 Set up a different litter box for each cat in case you have not done it. 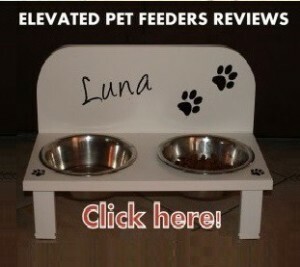 Set up separate feeding stations. Observe if the aggression lessens, if not, set up the feeding station of the victim cat further away or in another room. Do this process in a smooth and loving way so the victim cat doesn’t stress with these changes. If the aggressive cat eats the other’s food, set up a feeding station with a selective cat door. Observe in what place your fearful cat gets more aggressive. If it’s a cornered area, block it with a furniture, decorative plant or similar, this way the aggressive cat won’t feel threatened in that spot. 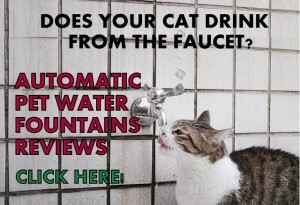 Spray pheromones to relax your cats. Follow Up. Once you have taken the above steps observe your cat’s reaction. If your defensive cat gets more used to seeing the bullied cat in the distance without displaying fearful aggression, it means the measures are working. Start putting your cats closer as the time passes with reinforcement rewards. If you see an aggressive action coming make a loud squiring noise or have a whistle at hand to blow. You can use a gate to keep them separated in the beginning, but usually this is not necessary, just eliminating the fear/anxiety triggers is enough. The difference between territorial and defensive aggression is that the fearful cat doesn’t feel its territory threatened but rather feels himself being attacked or threatened. Usually this is due to stress and anxiety in cats that can’t handle well the coexistence with another cat. Male adult cats usually tend to fight with other males as a way to establish a matting dominance or fighting to have higher hierarchy in the cat’s social structure. This is most likely to happen in multiple-cat households with two or three males and one or two females. If your kitten has reached sexual maturity or if one of your cats or both haven’t been neutered, this is an indication of male-to-male aggression. If you have a female cat coexisting with your male cats it’s also a good indicator of male-to-male aggression. Neutered males are much less likely to engage in fights so taking care of this aspect first, it’s a must. Spaying the female cat it’s a must as well. Also, as a cat gets older it may start showing aggressive behavior towards another younger male. This type of aggression displays a typical ritualized posturing of both cats when fighting. The cats stalk, staring to the rival, yowling and howling happens too. This is a dominance-submissive encounter that can be finished if one of the cats shows submissive behavior, walking away. When none of the cats want to avoid the encounter they can engage in pretty violent fights, including biting the rival’s neck. The loser cat may stop the fight for a little while by screaming, but after a few seconds they resume the posture to fight again. Fist thing is neutering your cats if you haven’t done it yet. If your two males cats don’t get along at all, most likely you will just be happy to have them both in the same house without a fight. 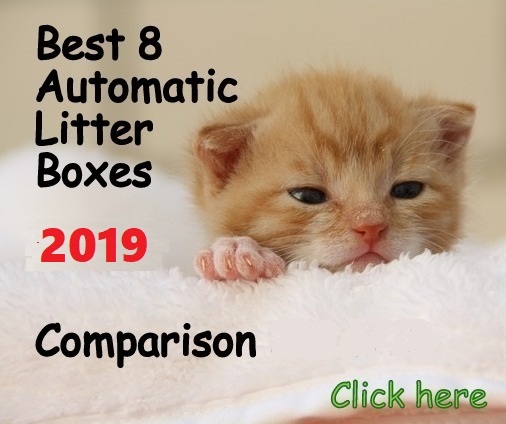 Probably you won’t get them to be the best buddies but you can minimize the aggression by setting up different areas for each, with food and water bowl, bedding, litter boxes, resting areas. Also, put a plug-in pheromone in the main room which are relaxing hormones. With male-to-male aggression it takes one cat to decide submission to stop this problem. Unfortunately, if your two cats have dominant personalities this aggression will be prolonged as long as they live together. Cats social structure is flexible which creates a sort of chaos when several cats have to live together. Each cat will decide if the other cat is a threat or not, establishing a hierarchical position that leads to aggression between cats. The more cats share the same space, the more likely fights will start happening. 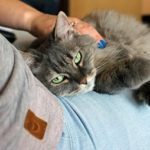 You need to properly introduce a new cat to your household, especially if you have an elderly cat. When introducing a new cat one of them could start playing as a sign of friendship and the other will consider this body language as a threat. If this happens when you are introducing two cats it’s better to stop the introduction and decide not to add a new cat in the house or immediately seek professional guidance. This is the very first indicative of body language misinterpretation that will happen always and will create aggression. Never try to calm a cat by petting him, this will encourage the aggressive behavior even more. The best attitude with an aggressive cats it’s distracting him with something appealing for the cat or immediately blocking the line of sight between the bully cat and the victim cat. Behavioral conditioning it’s a long path and the longer your cats have been fighting, the harder to correct the behavior. Don’t give up on your cats. The worse scenario could be having your cats hanging out in different areas of the house. If you can’t get your cat to stop bullying the other feline, seek professional help that could include medication. If that doesn’t work you will need to relocate one of your cats which is the saddest things to do, but the safest decision for your kitties and for you. Sometimes none of the measures will make two cats get along. Even the experts don’t have all the answers due to the complex and mysterious cat behavior.